Grand Country is the place for grand shows, food and fun! Enjoy your choice of two Broadway Style shows at the Kings Castle Theater along with a 3 day 2 night stay at the Radisson Hotel. For the exceptional price of just $289 you and a guest will also receive a $25 dining certificate and a FREE Branson Guest Card Savings Book. 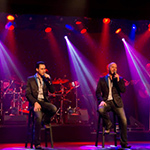 Book now and experiencing a Broadway Style Perfomance in Branson will be in your near future! View package here. 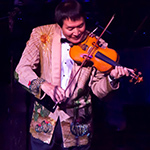 The first time I saw Shoji Tabuchi perform in Branson he said, "The fiddle and violin are the same instrument, their difference is how you 'fiddle around' with them." I walked out of that performance in awe of just how well he "fiddled around," thinking to myself, "Wow, that was remarkable." Thankfully, some things never change except for the better, and recently, over three decades later, as I walked out of the Shoji Tabuchi Show, I thought, "Wow, that was so awesome!" From Oreos to cockatoos Branson's magic is no illusion! "Branson has a 'magical' variety of things for families to see and do together," said Annette Wood, Director of Sales and Marketing for the Branson Tourism Center. "That 'magic' becomes even more so, in a truly magical sense, when one considers the variety of magic shows available for Branson visitors to enjoy," she added... Read entire article here. How can one unique Branson show take you from Ireland to Broadway? 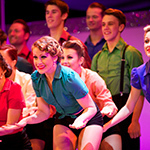 Simply put, with great performers, music, energy, and choreography. As I sat in the King's Castle Theatre in Branson recently for a performance of Dublin's Irish Tenors and The Celtic Ladies, I was amazed that one show could have so much vocal talent and cover such a wide variety of music. From its Irish-Celtic roots to opera, this show offers a variety of music that truly has something for every musical taste, but especially for those wanting to experience Irish and Celtic music. Read entire article here.